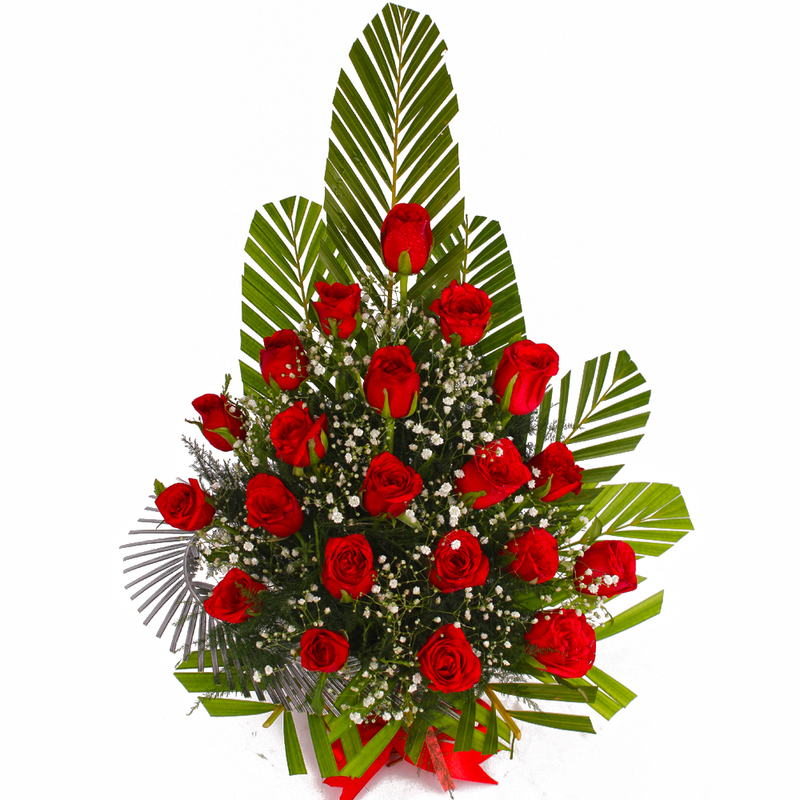 Adore your dear ones with a one sided basket arrangement of red roses, this arrangement contain twenty one stem of Red Roses definitely grabs attention quite easily. 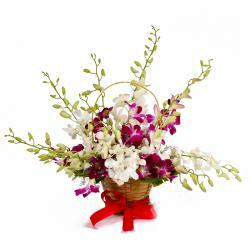 There are lots of white tiny flowers used as fillers and green big leaves gives extra ordinary look all and these make for wonderful gifts basket for Birthday, Anniversary, Missing You, Dusshera, Makar Sankranti, Boss Day among other occasions. 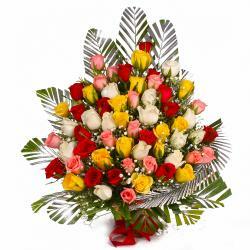 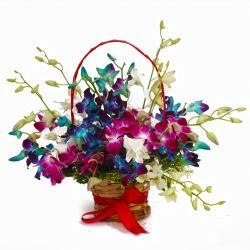 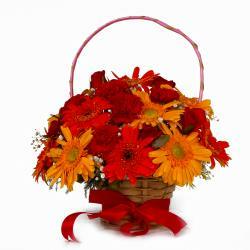 Product contains : One side Basket Arrangement of 21 Red Roses.